The 40 mile portage from the mouth of the Montreal River to Long Lake in Iron County was named the Flambeau Trail by the French fur traders. For 100’s of generations diverse communities relied on this vital overland link to access both the Great Lakes and interior lakes to sustain their cultures. Fe University is pleased to present Exploring and Documenting the Flambeau Trail and Turtle Portage with local historian and educator, Jim Bokern. The class will be held for five Tuesdays, April 16 through May 14, afternoons from 2:00 to 5:00 PM. This course includes a combination of classroom sessions at the Mercer Library and field work. Students will explore the trail and document their research in a format of their choice. Working in collaborative groups, students will learn historic thinking skills, explore written and digital historic sources, and engage in field work analyzing historic sites. 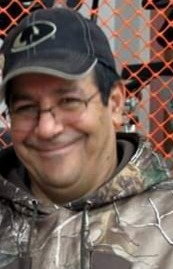 Guest speaker, William “Joe” Graveen, tribal member of the Lac du Flambeau Band of Lake Superior Ojibwe will present the importance of the trail to Native American culture. Field work will include visits to Carow Park, Echo Lake, the mouth of the Montreal River and Oronto Creek, Long Lake, and a paddle on Long Lake Creek and the Turtle River. Instructor Jim Bokern began teaching History at Oconto High School in 1981, and in 1986 he received a Master’s Degree in History at the University of Wisconsin Stevens Point. His thesis, History and the Primary Canoe Routes of the Six Bands of Chippewa from the Lac Du Flambeau District expanded Bokern’s interests in Native American culture. Bokern moved to a large high school in Marshfield, Wisconsin 1988, where he taught advanced placement classes in US History and Government. Bokern holds many leadership roles and has lead two archeological surveys on the Manitowish Waters Chain of Lakes, co-developed the Digital Time Traveler Program at the North Lakeland Discovery Center, worked as project historian on two grants with the Lac Du Flambeau Historic Preservation Office, documented the historically significant 6 Pause Portage in Iron County, leads as president of the Manitowish Waters Historical Society, and continues active historic research in the region. Presenter William “Joe” Graveen was born and raised on the Lac du Flambeau Indian Reservation and is a Tribal member of the Lac du Flambeau Band of Lake Superior Ojibwe. An avid outdoors person with a love of the land, Graveen has a deep desire to learn about the traditions, culture, and historical impacts that have influenced the present day Northern Wisconsin. Graveen works for the Lac du Flambeau Tribe in the Natural Resources Department/ Wild Rice Cultural Enhancement Program (Wild Rice Technician) where his duties include identifying historical wild rice waters, restoring wild rice in these waters and researching the historical events that may have contributed to the loss and decline of wild rice stand/beds in the region. While living in Maine, he co-lead many canoe trips. 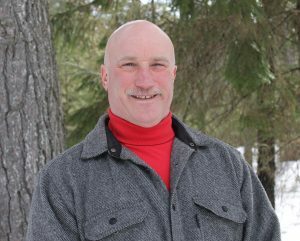 Current positions Joe holds are Voigt task force Rep for Lac du Flambeau Tribe, Vice Chair Lac du Flambeau constitution committee, LDF Tribe Land Use Board member and LDF Tribe Conservation Code Committee member. The fee for Exploring and Documenting the Flambeau Trail and Turtle Portage is $65 with a $10 discount if registration is received by April 2nd. For more information on the course and for registration information, visit www.feuniversity.org. Download and print a registration form or pick one up at the Mercer Library or the University of Wisconsin Iron County Extension office at the Hurley courthouse. You may leave completed forms at the above locations or mail them to Fe University, PO Box 63, Hurley WI 54534. For more information, call 715-476-2881 or 715-561-3098. Please register early as class size is limited to 12 students. Fe University is a non-accredited, non-profit “college” for seniors based in Iron County and open to anyone over 18. Other courses offered this spring include Owls of the Northwoods, The Reality of Immigration Today, Poetry Workshop, Sign Language, and Where Two Worlds Meet: Lac du Flambeau.